Albania's local elections, people are glued! Albanian Blogger Bringing an added perspective on this Albanian reality and life! Home Albanian Blogger Albania’s local elections, people glued on their TVs! 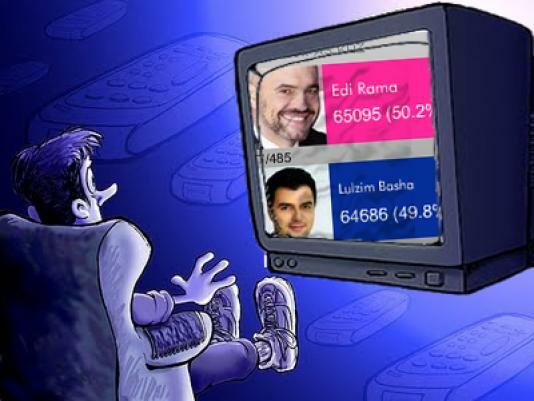 Albania’s local elections, people glued on their TVs! If you’ve been wondering what Albanians have been doing since the May 8 local elections, this picture tells it all. People have been glued to their TV sets and continue to follow the prolonged counting procedures. It seems as though all else has been forgotten! Next articleCompare your baby’s poop to our photos!